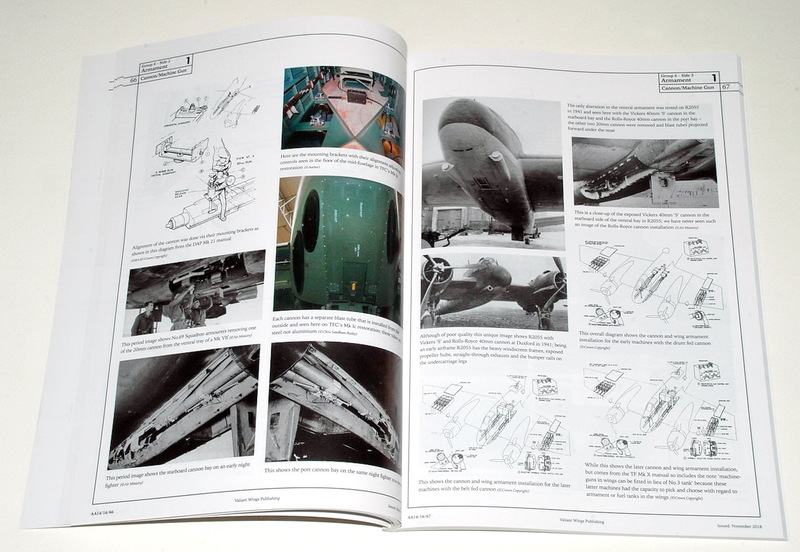 The fourteenth title in the “Airframe Album” series is an essential companion for anyone tackling the Revell (1/32nd), Tamiya, new tool Revell (1/48th), Hasegawa, new tool Airfix and older kits in 1/72nd scale. 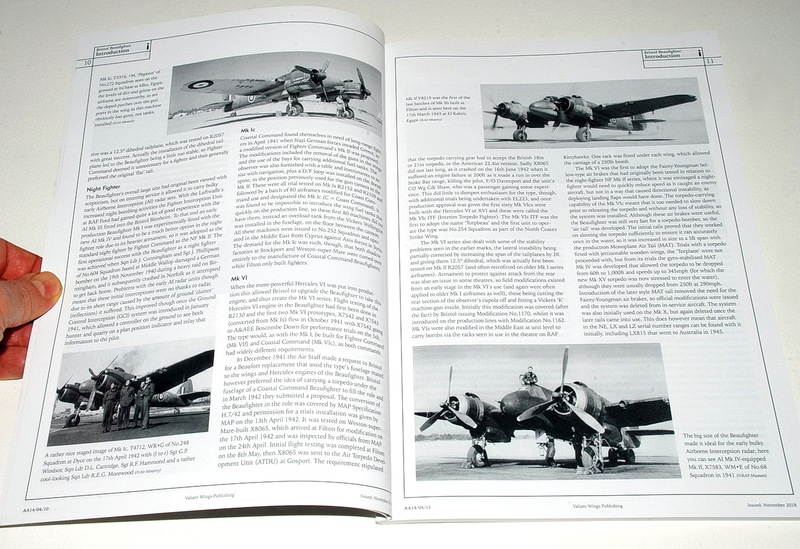 The Bristol Beaufighter was initially developed to be a heavy fighter version of the Bristol Beaufort torpedo bomber in 1938 - 1939. 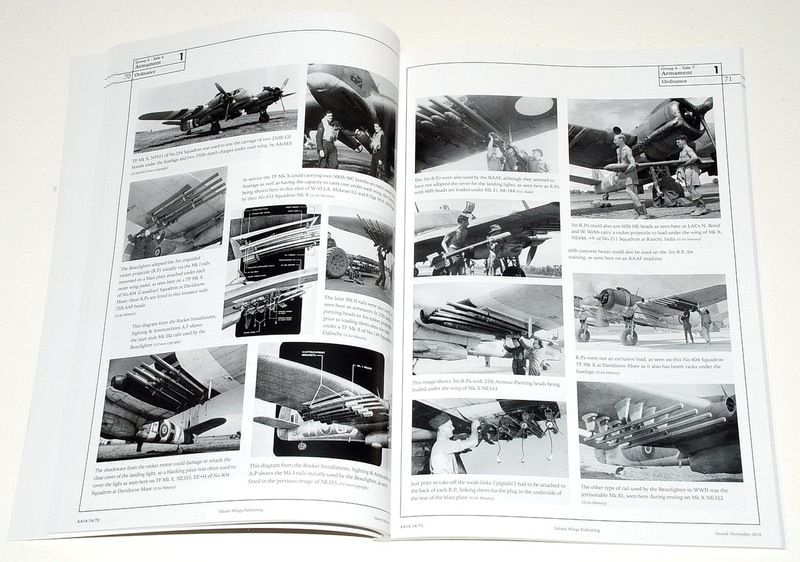 However both Blenheim and Beaufighter (and all three designed by the same company) proved to be much more efficient and powerfull, so Beaufort flew more hours in training than on operational missions and more were lost through accidents and mechanical failures than were lost to enemy fire. 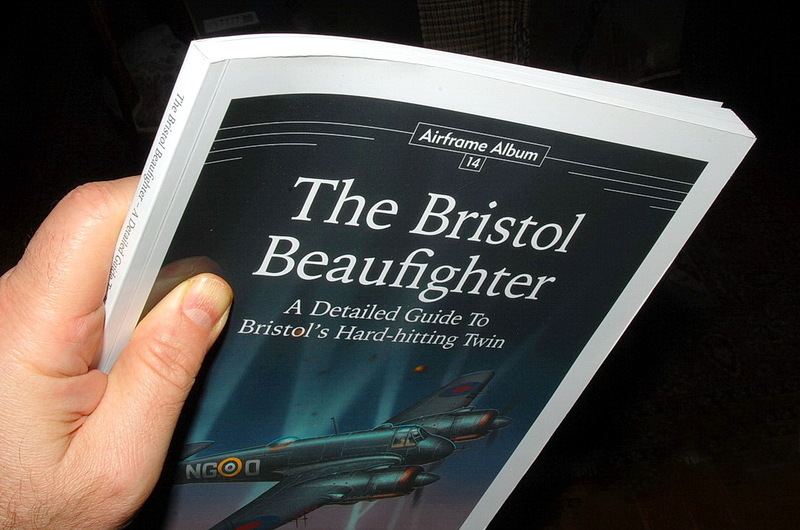 Thanks to the Bristol Hercules engines chosen for the Beaufighter, a propeller of larger diameter was needed, so the engine nacelle had to be placed through the wing instead of under it, as it was in the Beaufort. There were other changes to systems, engines and the most noticeable was a simpler canopy with fewer frames in the windscreen. Oil coolers were moved to the wings from under the engine and there were also differences in the carb intake. Later production planes got a longer tailplane with considerable dihedral to improve stability and the very last variants had a very long fin fillet. The new heavy fighter became an excellent night-fighter, ground-attack and maritime strike aircraft in European and South Pacific theatres, with many variants and improvements along the way. During the war it saw service in all theaters where the RAF operated. Entering service in time for the Battle of Britain, it quickly fell into the night-fighter role, with its ability to carry heavy armament and equipment without affecting its performance. The Fleet Air Arm (FAA) were also operating the type, as it was able to carry enough munitions in either free-fall or rocket-propelled forms to deal a substantial blow to any enemy shipping it happened upon. The Beaufighter turned out to be an excellent platform for a night fighter as it could carry the AI (Airborne Interception) radar equipment and had plenty of firepower. Its ability to carry a torpedo made it an excellent Coastal Command strike fighter and later the airframe added rockets to its weapons suite. It was also an excellent replacement for Mosquitoes in the Far East that were having issues with their wood airframes due to the high heat and humidity. 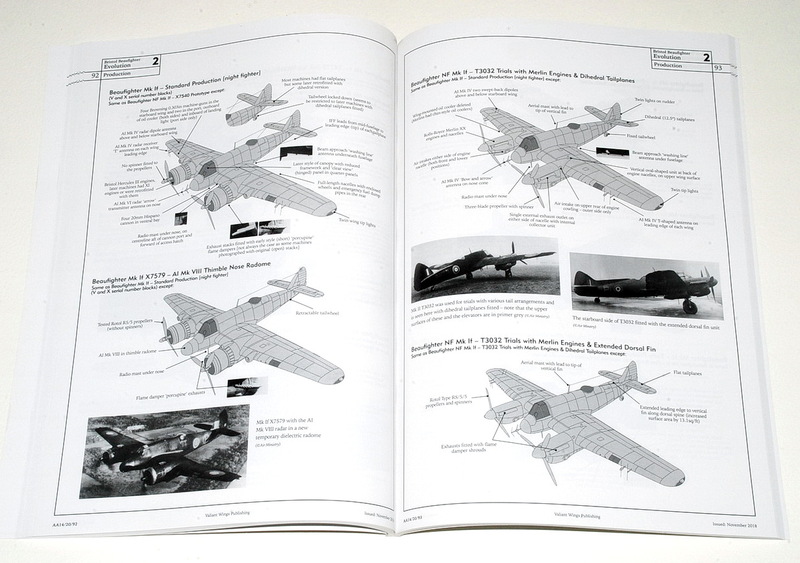 A brief narrative history of the development and operation use of the Beaufighter by Fighter & Coastal Commands and the FAA, as well as those by the USAAF and supplied to other nations. 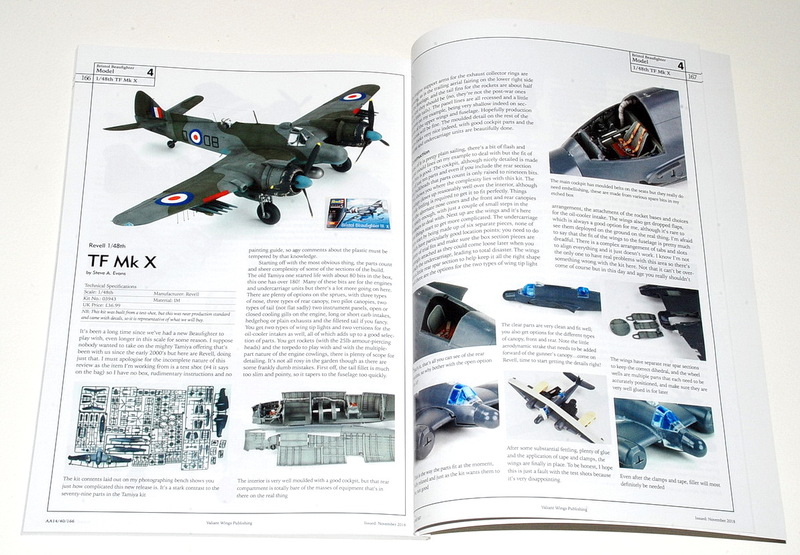 A build of the 1:72nd scale TF.Mk.X from Airfix by Libor Jekl and the all-new 1:48th scale TF.X from Revell by Steve A Evans. 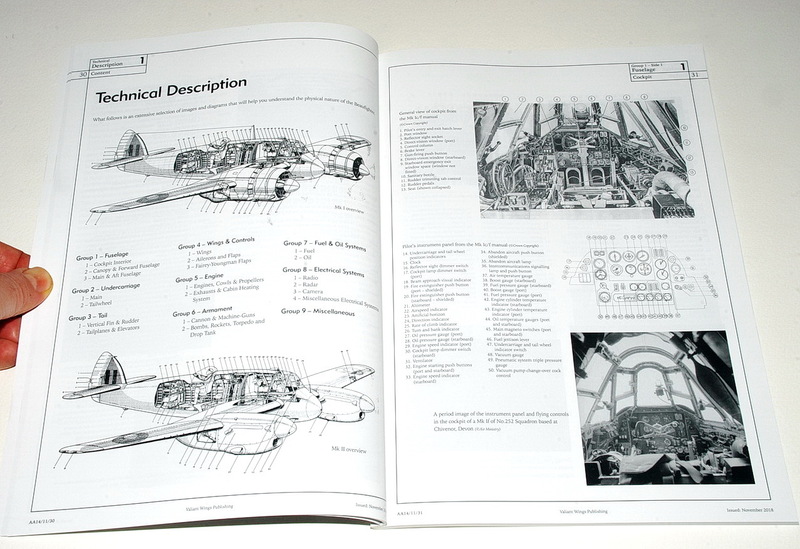 It should be evident from the list of contents alone that this title is aimed squarely at the modeller. 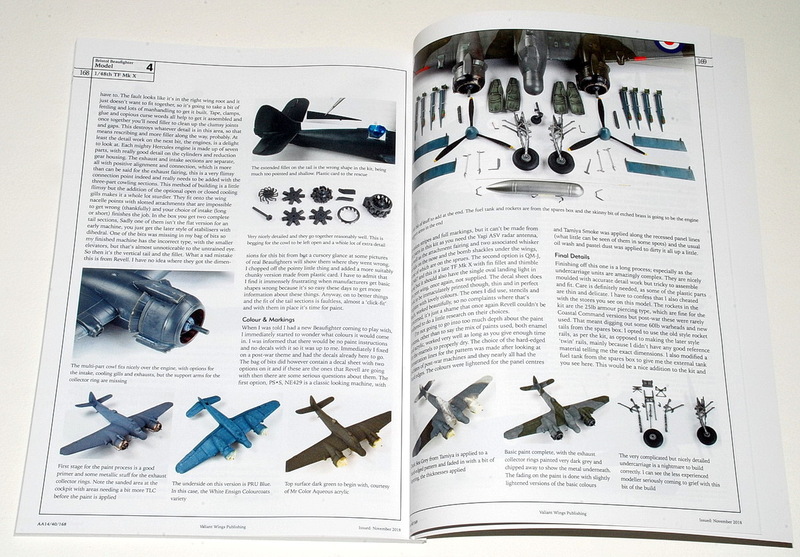 There's plenty here for aviation enthusiasts and Beaufighter fans too, but the emphasis is on providing the modeller with a plethora of data and as much detail as possible. The first thing that strikes you with this book is the excellent and impressive cover art by Seweryn Fleischer. 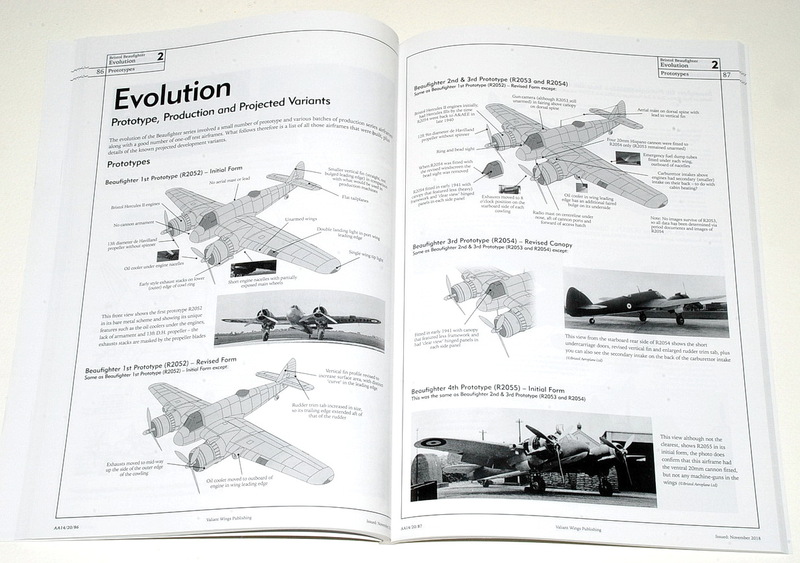 The presentation of material in this book is impressive throughout. Photographs are generally clear and crisply reproduced, as are the 3D isometric line drawings by Chris Sandham-Bailey. 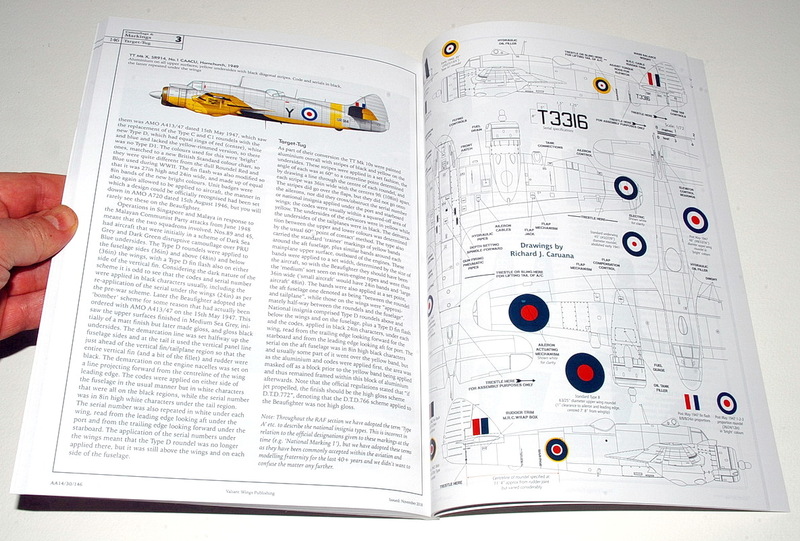 The colour profiles by Richard Caruana are handsomely rendered. 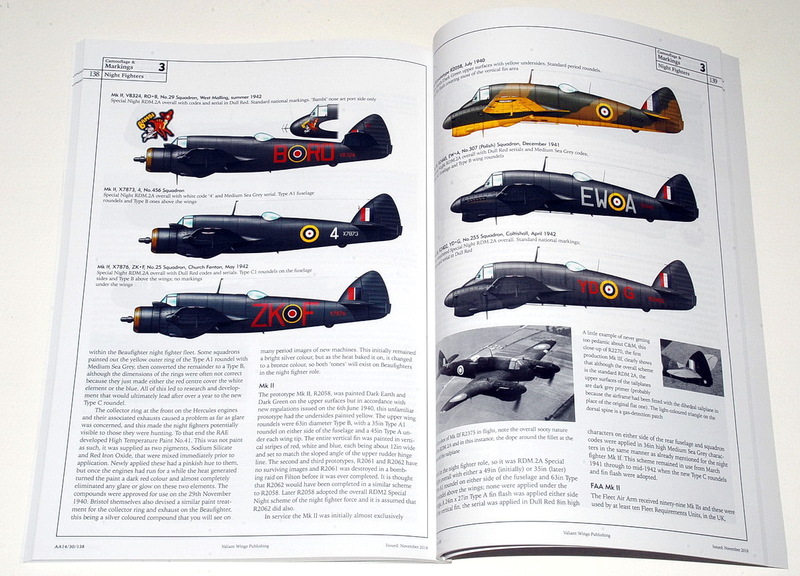 The Introduction is a 23-page history of the Beaufighter, and makes for very interesting reading, even if you are familiar with the type. 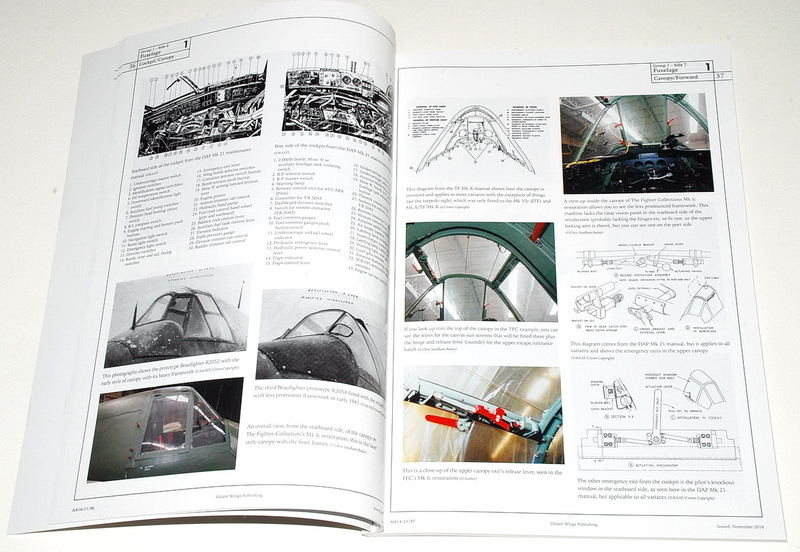 The Technical Description section of the book is packed with period photographs, technical drawings, and photos of surviving examples. 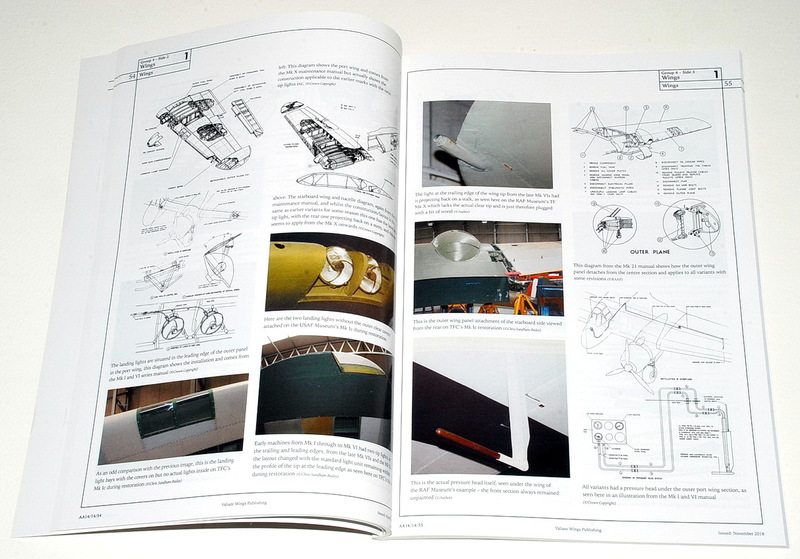 The airframe is covered comprehensively from nose to tail, with special emphasis on those areas of the most interest to modellers: cockpit, landing gear and engines. 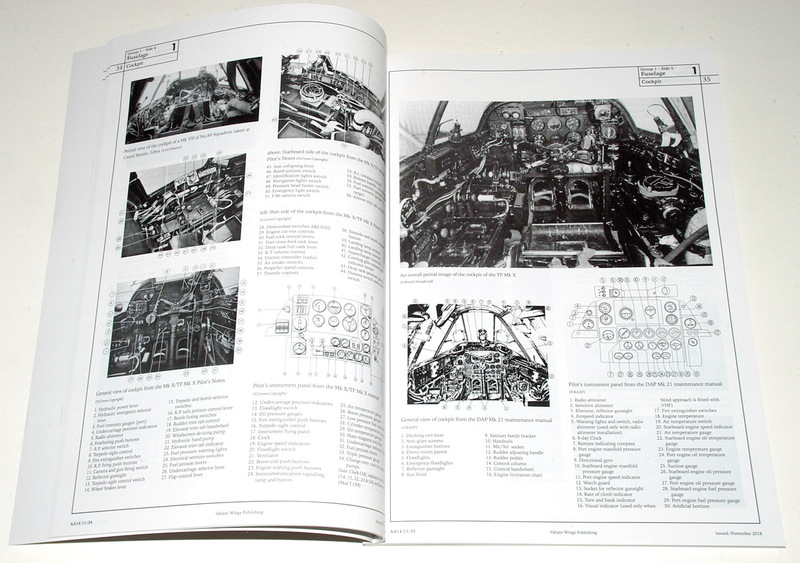 There's also extensive coverage of the internal structure of the airframe, by way of photos and drawings. 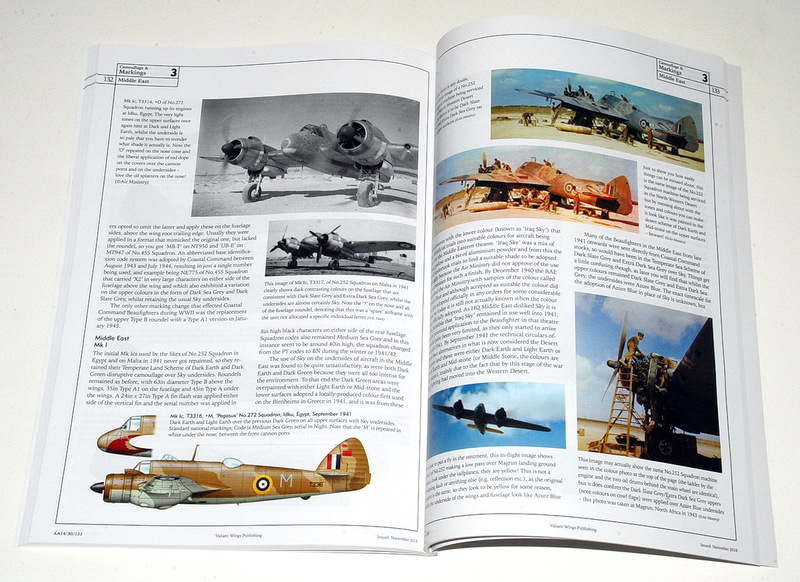 The section on the evolution of the airframe gives a concise but very clear overview of the development of the Beaufighter, from its initial concept as an adaptation of the Beaufort, to prototypes and test airframes, target tugs, and the Australian DAP version. 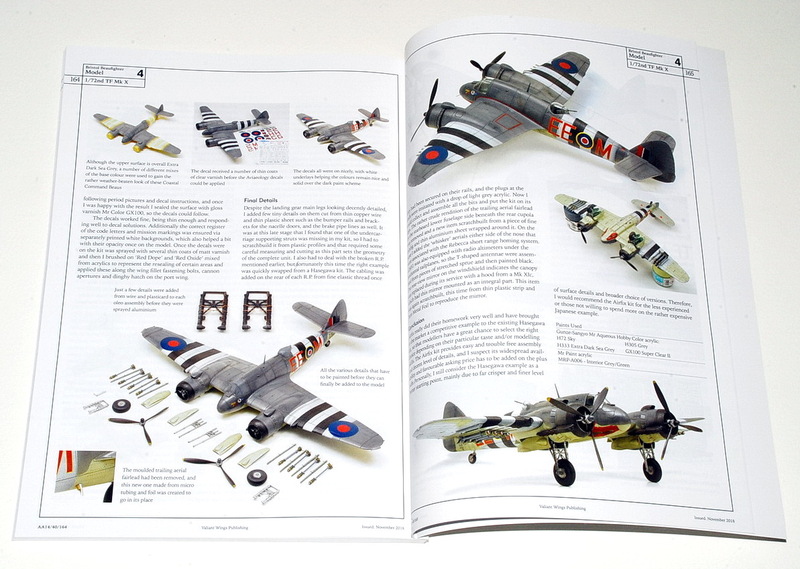 The Camouflage and Markings section covers the type's use by the RAF, Coastal Command, FAA, and foreign air forces, and includes an impressive variety of attractive colour schemes. A decent selection of period photographs is included, along with the beautiful colour profiles by Richard Caruana. The two builds included are both excellent. 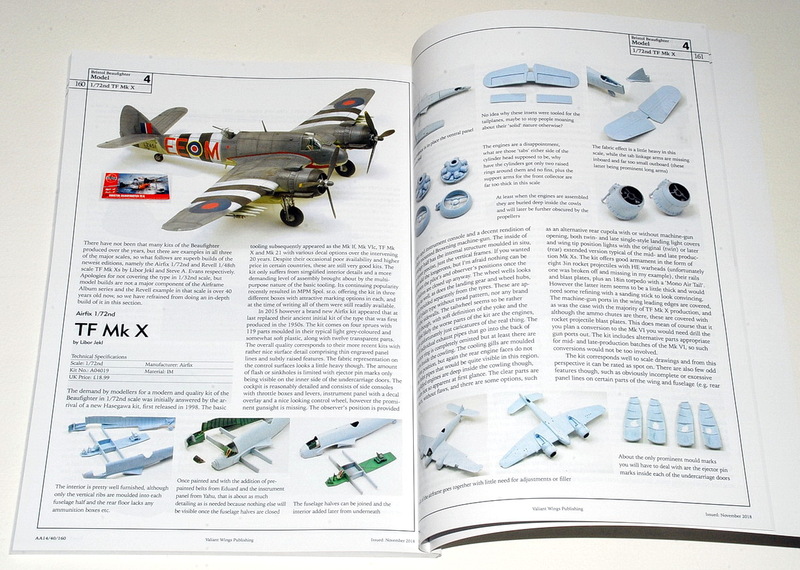 The first features Libor Jekl's new Airfix TF Mk X kit in 1/72 scale. 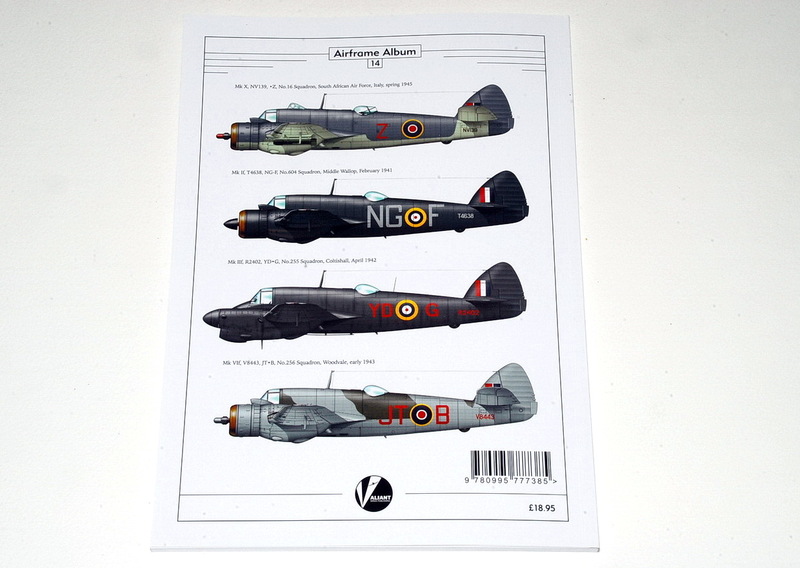 The second build is the equally new 1/48 scale kit from Revell by Steve Evans. Both are magazine-style builds, and certainly worth a look if you're interested in building either of these kits. 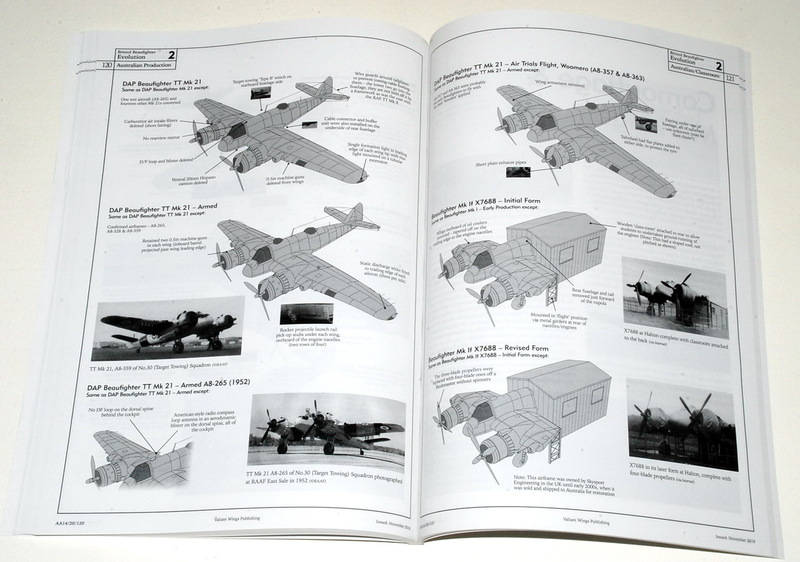 The final section is the Appendices, and these follow the customary pattern for this series of books, in outlining what options the modeller has in terms of kits, accessories, decals and masks for producing a scale replica Beaufighter. 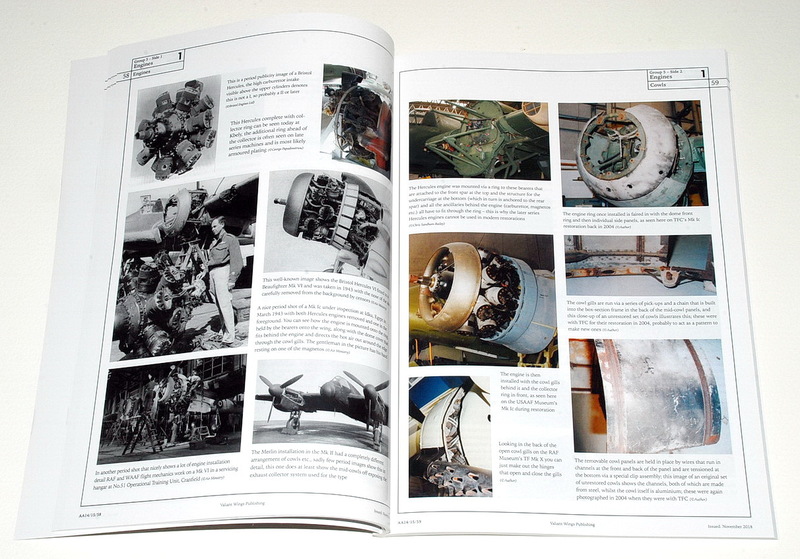 The book ends with a bibliography of existing titles covering the Beaufighter, excellent choices for further research into the type. 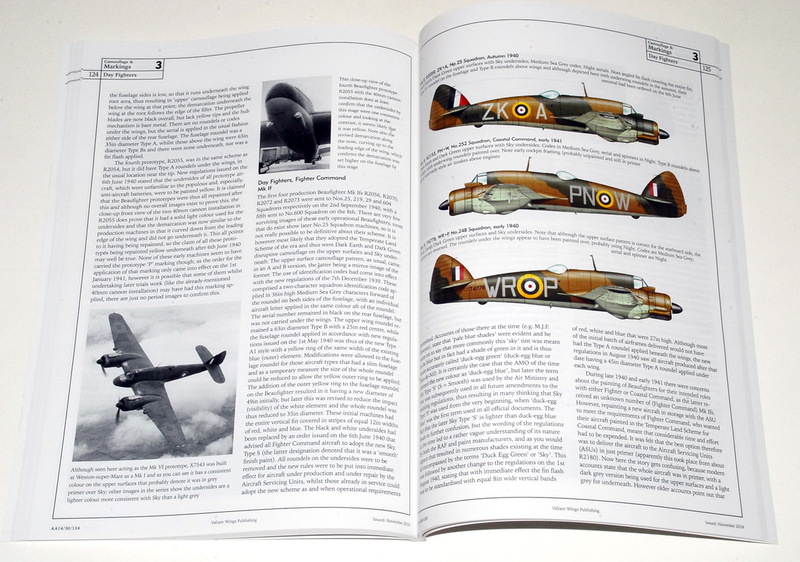 As always we particularly liked the 3D isometrics, the section on the differences between airframes and the one on the various camouflage schemes worn by the aircraft. 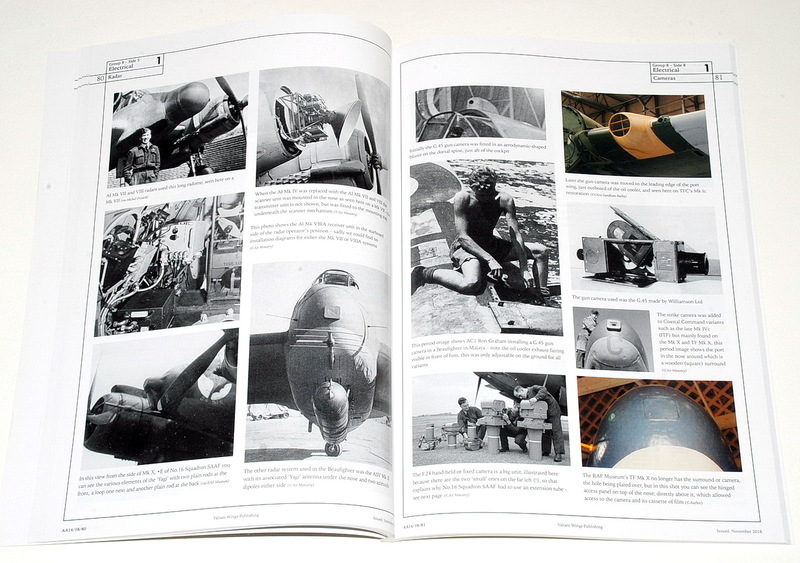 As usual with Valiant's books, the pictures are both high quality and unusual, with lots of "behind the scenes" shots of production, testing and their ultimate capture by the Allies, plus plenty more pictures of museum examples for those needing reference pictures. 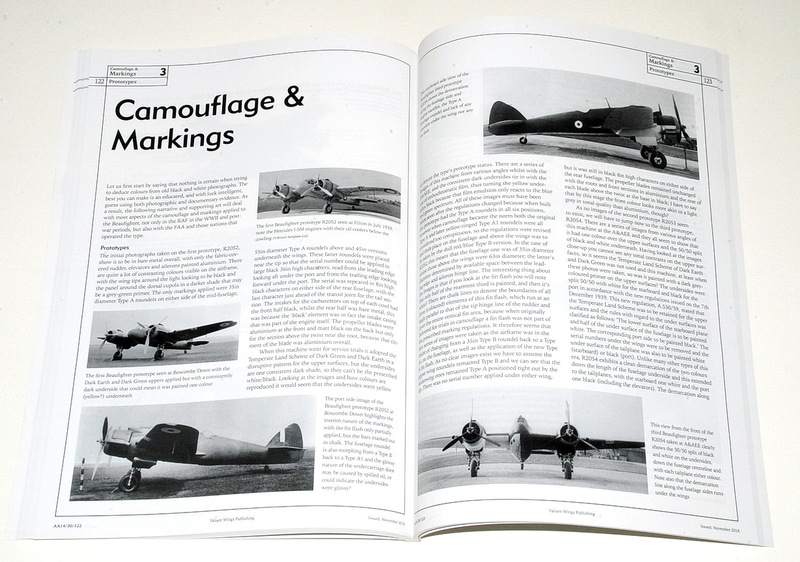 Camouflage & markings buffs will love the book's authoritative comments. 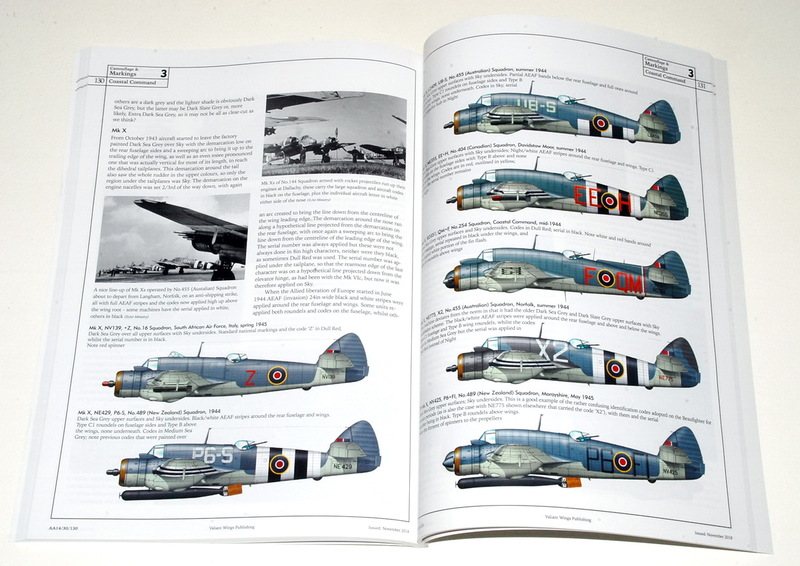 Dozens of superb color profile and plan views by Richard J. Caruana also survey the plethora of international Beaufighter variations. In all, a most welcome addition to what is a superb series of books. 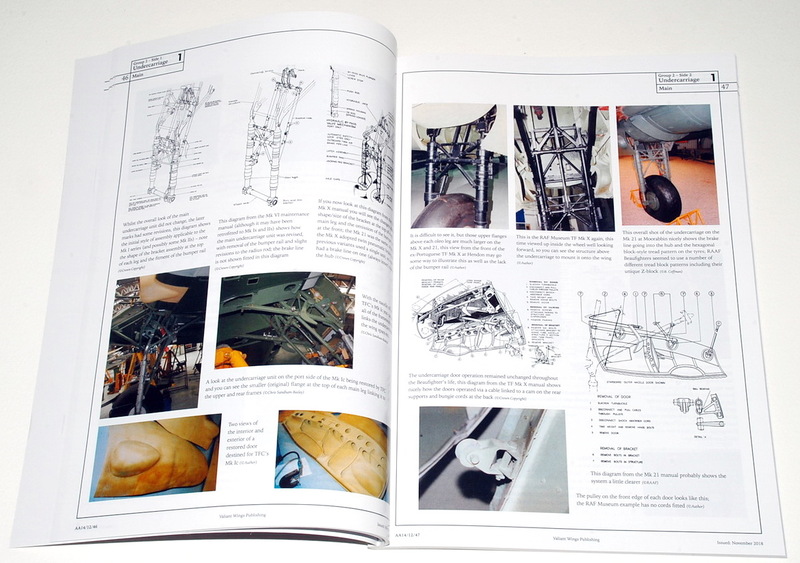 If you're a modeller, aviation buff or even just interested in engineering, this will make an interesting read, which you'll come back to again when you need it for references. 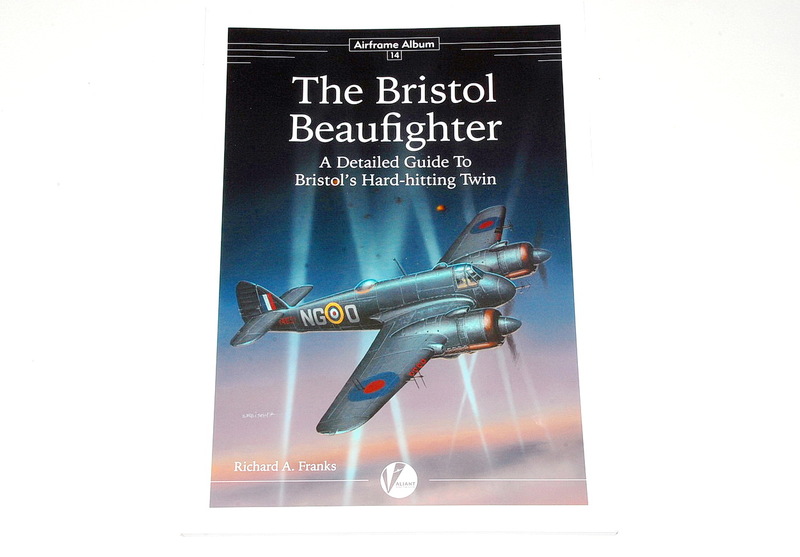 Airframe Album No 14- The Bristol Beaufighter - A Detailed Guide To Bristol’s Hard-hitting Twin by Richard A. Franks retails at £18.95 per copy + postage and packing.